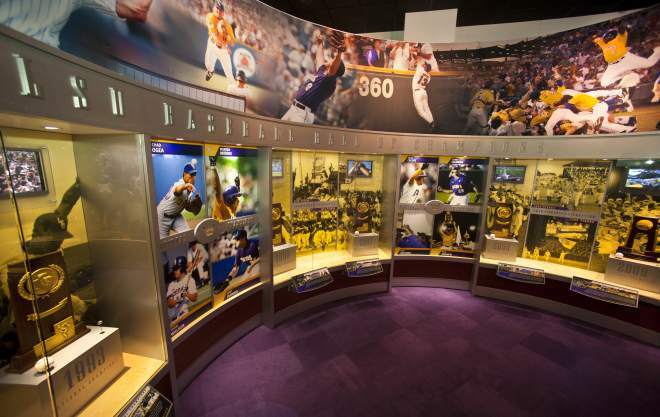 Louisiana State University has been playing baseball on the collegiate level since 1893. They are in the SEC’s Western Division. Their nickname is the Tigers and their team colors are purple and gold. 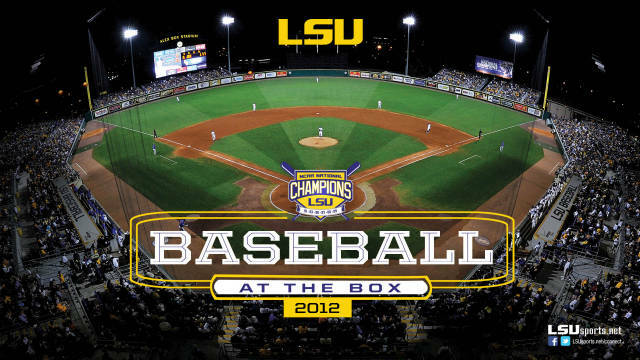 LSU plays their home games at Alex Box Stadium/Skip Bertman Field in Baton Rouge, Louisiana. The Tigers have won 15 conference championships, have made 16 College World Series appearances and have won six national championships. All LSU’s national titles have come since 1991, making them easily the most successful team in college baseball over that time period. The Tigers have been coached by Paul Mainieri since 2007. LSU baseball got off to a rather inauspicious start. They managed to have fifteen coaches throughout their first 30 seasons and none were particularly successful. Things started to change in 1927 when Harry Rabenhorst became head coach. Rabenhorst, who also led LSU’s basketball team, would remain baseball coach until 1956, save the three years he missed for World War 2, and would led the team to their first conference title in 1939. Not a whole lot happen with LSU baseball between the time Rabenhorst retired from the team and when Skip Bertman became coach in 1984. In 1985 the Tigers were in the post-season for the first time in a decade. In 1986 they made their maiden trip to the College World Series and they were also in Omaha in 1987, 1989 and 1990. 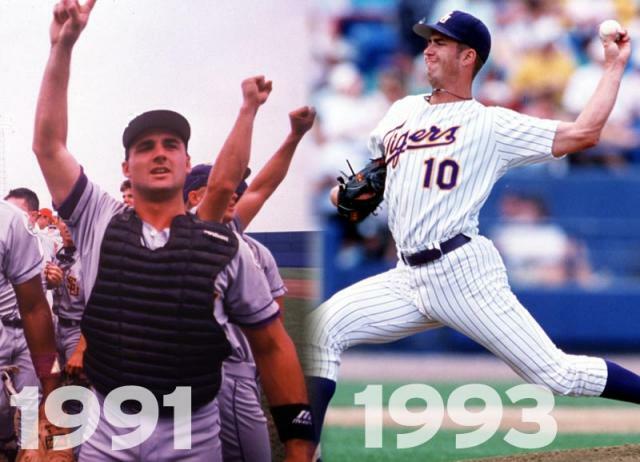 In 1991 catcher Gary Hymel led LSU to their first national championship. The program clearly liked the taste of being number one as the won the National Championship again in 1993, 1996, 1997 and 2000. Bertman retired in 2001 and Smoke Laval took over. Laval started off well enough, with College World Series appearances in 2003 and 2004. 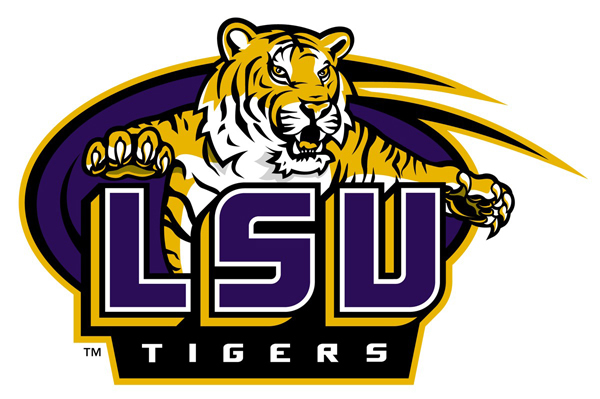 However LSU had come to expect national championships and when the team missed the the NCAA tournament altogether in 2006 Laval was forced out. Enter current coach Paul Mainieri. 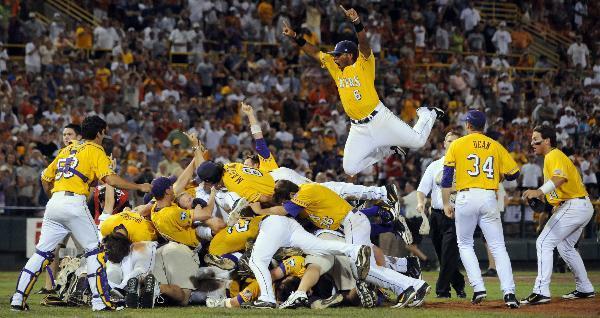 He showed his stuff by making a College World Series in 2008 and winning LSU’s sixth National Championship in 2009. The 2013 squad entered the post-season number one, however bowed out early in the College World Series. In 2013 LSU led the nation in attendance, averaging an over-capacity 11,006 per game. On April 27, 2013 a record 12,727 fans came out to see LSU lose to their SEC rivals South Carolina four to two. In 2012, College Baseball Today voted Alex Box Stadium/Skip Bertman Field the second best atmosphere in college baseball. NCAA Tournament Appearances: 1975, 1985, 1986, 1987, 1989, 1990, 1991, 1992, 1993, 1994, 1995, 1996, 1997, 1998, 1999, 2000, 2001, 2002, 2003, 2004, 2005, 2008, 2009, 2010, 2012, 2013.